Network marketing scams are based on network marketing or multi-level marketing [MLM]. The first multi-level marketing companies were designed and intended to take a manufacturer's products directly to the consumer market in volume, and rapidly. But, the emphasis in the majority of cases now has changed from selling the product to recruiting more and more sales people because it was realized, the more sales people, the more sales. For most people wanting to get into this kind of business, the attraction usually isn't so much in selling the companies products, as it is in getting the clients they accumulate to do the same and encouraging them to sell the products and convert buyers into distributors. Even if what a network marketer says is almost too good to be true, for a lot of people, they wonder if this could be the opportunity that finally makes them rich. The success factor in network marketing is all about leverage as it works on geometric expansion. You can leverage your time and increase the number of hours of work effort on which you can be paid by sponsoring other people and earning an income off their efforts. All MLM/network marketing models require distributors to buy in either through the purchase of products or special licenses. There is also a strong focus on not just the selling of the product, but also recruiting new distributors. There is often also a big push by upline members [the sellers above you] to purchase training materials and attend conferences. If you are thinking about joining what appears to be a legitimate multilevel marketing plan, take time to learn about the plan before signing on. Will you need to recruit new distributors to be successful? What is the actual product? Are you committed to a minimum sales volume per month? Is the product likely to appeal to a large customer base? Is an upfront investment required? Is the company well known with lots of distributors who have already saturated the market? Like any other business, you should always view a network marketing opportunity with great caution. The more a salesperson raves about it, the bigger the promises, the more likely it is to be a scam, or even if it is legitimate, you may be sorely disappointed. In general, MLM or network marketing has a low success rate [often around 1%] a high drop out rate, fierce competition usually with no sales territories, possibility of being in a neighborhood that is already saturated, and where some of the products are probably able to be purchased cheaper online, especially from sites like eBay. The problem is that some MLM recruiters try to sell the idea that by signing up you will quickly become rich and will be able to leave your jobs. Well, yes you could, but not easily, because you will have to work at it, you will have to be consistent and motivated, you will have to spend time and network extensively, you will have to have a plan, you will need support, knowledge of your company/products/market and you will have to recruit and motivate your downline, and also take care of your customers. 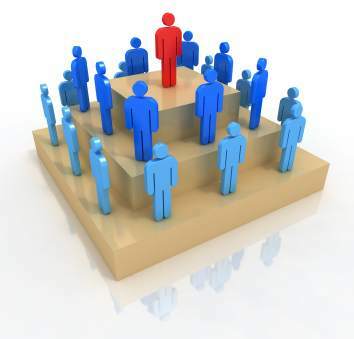 An article by a very experienced MLM Mr. Jim Straw: Multi-Level Marketing: What it was. What it became. What it is today.